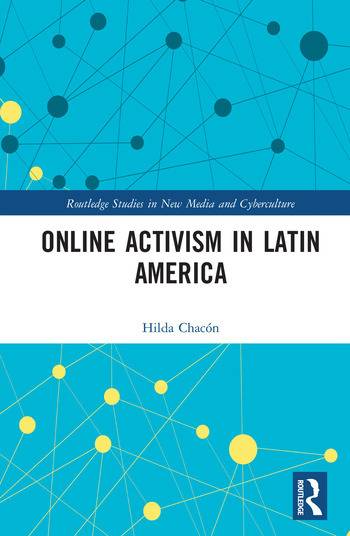 Online Activism in Latin America examines the innovative ways in which Latin American citizens, and Latin@s in the U.S., use the Internet to advocate for causes that they consider just. The contributions to the volume analyze citizen-launched websites, interactive platforms, postings, and group initiatives that support a wide variety of causes, ranging from human rights to disability issues, indigenous groups’ struggles, environmental protection, art, poetry and activism, migrancy, and citizen participation in electoral and political processes. This collection bears witness to the early stages of a very unique and groundbreaking form of civil activism culture now growing in Latin America. Hilda Chacón is Professor of Spanish and Latin American Literatures and Cultures, Nazareth College, USA.